Landscape Architecture is more than a profession; it is a basic component of human culture. The ILASA Merit Awards of Excellence aims to exemplify best practice examples that are clear in their intent and relevant to their specific context. We are faced with particular social challenges in a country with extraordinary biodiversity, rich in resources but in need of conserving what we have. Projects should clearly demonstrate how they add value to the landscape, specifically in aspects of social or ecological health and well-being, but preferably encompassing both these aspects. The projects obtaining Awards of Excellence will be acknowledged by means of the presentation of a certificate as well as media coverage. An Award of Excellence is not given on a competition basis but based on merit; all types of projects from large complete projects to small specialist projects may be entered. All ILASA members may submit/nominate any work executed by any member of the Institute. Work fully completed and sufficiently established to be assessed may be entered for consideration. The entrant or a representative of the entrant is to be present at the Awards of Excellence function. Projects up to five (5) years and younger, are eligible for consideration in categories 1, 2A, 2B, 2C and 3. Projects older than ten (10) years are eligible for consideration in category 2D. 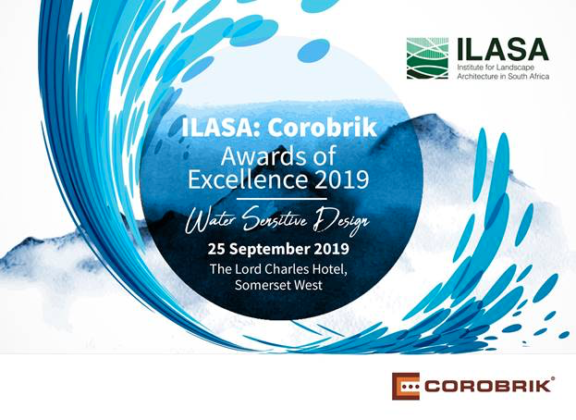 Projects that were entered into the ILASA Awards of Excellence in a previous year cannot be entered again, unless the project was entered as a ‘project proposal’ previously and this time as a ‘completed project’. However, projects previously entered for an award may be entered again in category 2D: Fully completed projects – Projects should they 10 years or older. Each entrant must submit a motivation for why he/she feels they met the criteria and are worthy of an award. This is to be based on the Evaluation Criteria Calculator that is available with the awards entry form. Submissions are to be accompanied by an entry fee of R1 550.00 for the first project. Fees for a second submission by the same party will be R1 150.00 and R980.00 for each additional submission. Student submissions under Category 1: Research will be allowed for recent graduates (up to 2 years from graduation) on Mprof theses, that is accompanied by evidence that a final mark of 70% or higher was awarded for design. Such submission will be at a special student rate of R 775.00 for each submission. Once your submission has been received you will be invoiced accordingly. Your submission will not be considered until full pre-payment is made before the deadline date. Entry forms and proof of payment should reach ILASA no later than 30 April 2019. All material for evaluation should be uploaded via Dropbox by 30 April 2019. Evaluation of projects will commence during May after the submissions have been checked for compliance with the various requirements and have been categorised according to the geographical location of each project. No results will be made known before the formal announcement at the Awards of Excellence Function on the evening of 25 September 2019 – The Lord Charles Hotel, Somerset West.